The movie was made in 1992, but the real strike was in 1899. 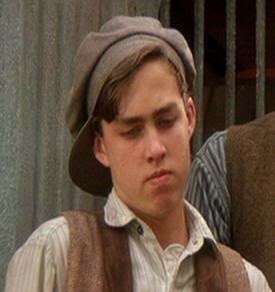 Jack and the Manhattan Newsies are just normal Newsies selling papes. There are Newsies in every city in New York (Queens, Harlem, Brooklyn, Manhattan, etc.). 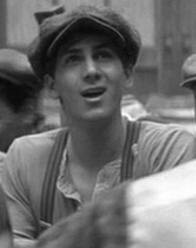 The movie focuses on the Manhattan Newsies, though. Pulitzer and Hearst run the newspapers. 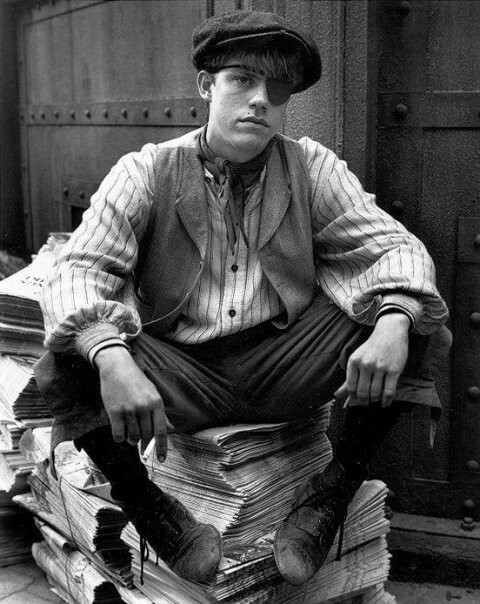 Newsies buy the papes for 50 cents per hundred. 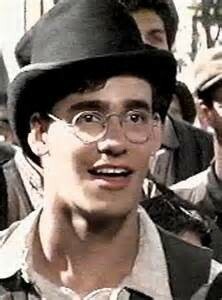 Pulitzer, being the greedy man he is, decided to raise the cost of papes for the Newsies to make more money. This is bad news for the Newsies because most of them don't have much money. 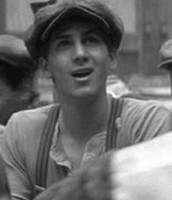 Jack and the Manhattan Newsies decide to go on strike until the cost is lowered. 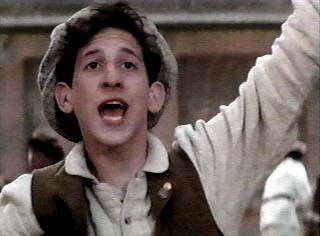 But to get the strike completely going, they must get all the Newsies in New York. They send out messengers to get all the Newsies to join. They finally do. They also got every working boy in New York to join the cause. Jack and David bring their demands to Pulitzer. They win the strike! Teddy Roosevelt then lets all the kids out of the Refugee and takes away Snyder (the person who puts the kids in the Refugee). Who Plays Who in the Original Broadway Musical? Know your Newsies! Learn all about each one down below! 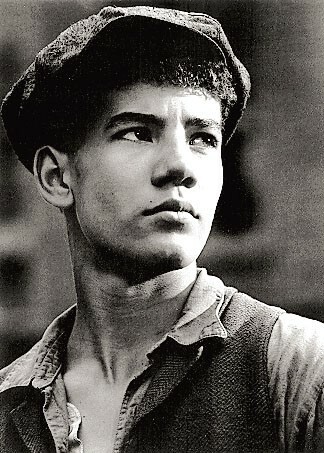 Spot Conlon is the leader of the Brooklyn Newsies. 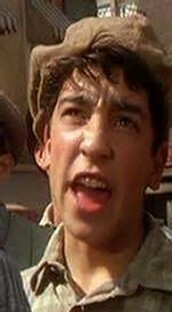 He is the most feared Newsie in New York. Spot is 16 years old. 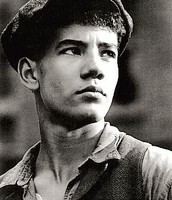 In the movie Newises, the Manhattan Newsies try to get Spot to join their strike. 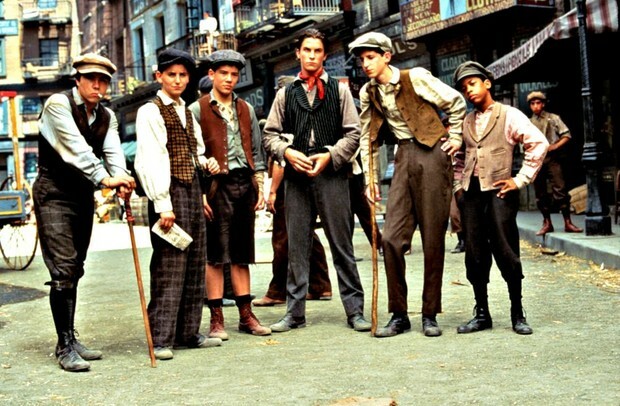 They figured that if Spot and the Brooklyn Newsies joined the strike, everyone else will. Spot's most famous quote is "Never fear, Brooklyn's here!" He is often seen carrying around his slingshot and his cane. Spot usually wears his red suspenders, a gray Newsboy cap, and a key around his neck. Spot is usually seen with Jack Kelly, Racetrack Higgins, and Kid Blink. Kid Blink got his name because he is missing his left eye. No one knows really how he lost it. His real name is Louis Balatt. Kid Blink is usually called Blink or Kid for short. Blink was not sure about joining the Newsies Strike at first, but then he fully supported it. 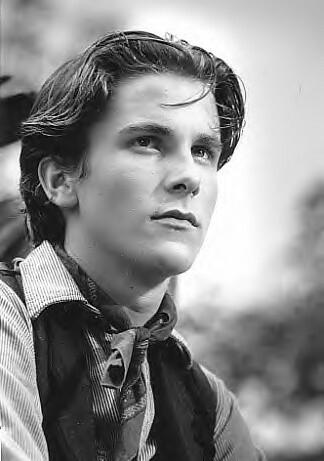 Jack Kelly is the leader of the Manhattan Newsies. Jack is known for his dream of going to Santa Fe. His Newsie nickname is Cowboy because of his dream. Jack is usually seen wearing a bandana, a cowboy hat, and a lasso (usually used as a belt). His most famous quote is "That's the foist thing ya gotta learn. 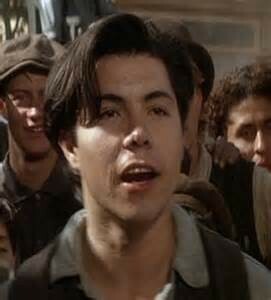 Headlines don't sell papes, Newsies sell papes." Jack is also the leader of the strike. He is friends with pretty much every Newsie. Jack's real name is Francis Sullivan. 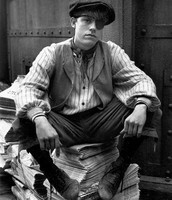 Crutchy is a crippled Newsboy.His most famous line is "Jack, when I walk, does it look like I'm fakin' it?" He is always seen with his crutch. 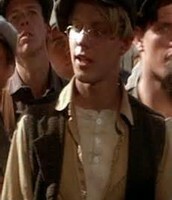 Crutchy wears a bigger gray Newsies cap, a brown vest, and a white t-shirt. Crutchy was captured by the Bulls and taken to the Refugee in the beginning of the movie. In the end, he got out of the Refugee by the president. Les is David's younger brother. 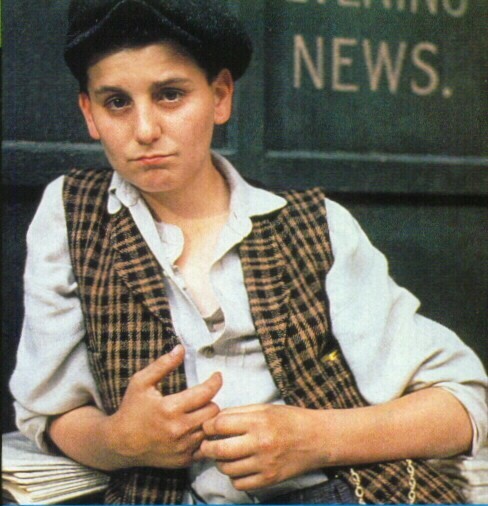 He is the smallest Manhattan Newsie at only 9 years old. 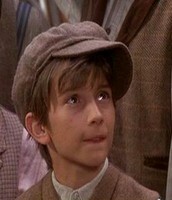 Les WORSHIPS Jack and wants to become a Newsie just like his hero. 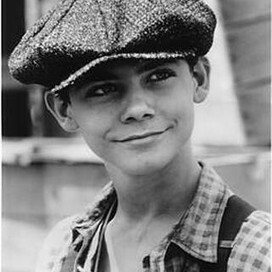 Jack partners up with him and uses his cuteness to sell more papes. Boots got his Newsie name because he he sleeps with his boots! Living in the street, robbers will come and try to steal things from homeless kids. So, Boots got into the habit of sleeping with his boots to make sure no one steals them. Boots might be one of the smaller Newsies, but he is still one of the braver ones. 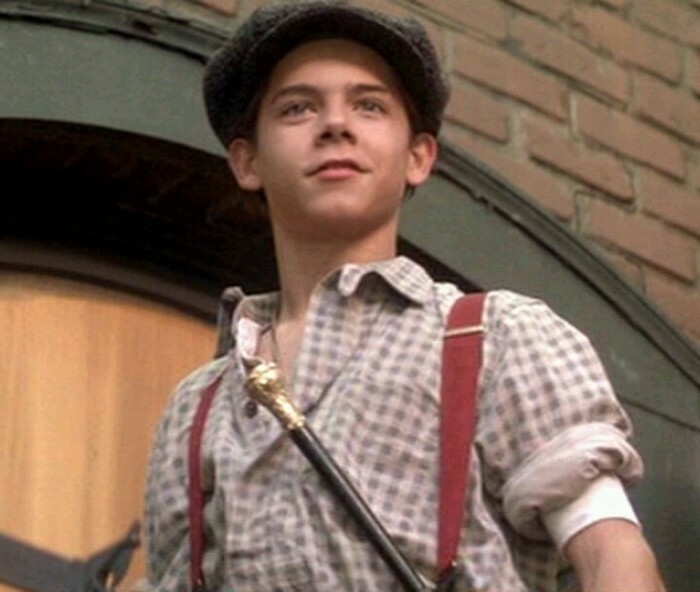 He is not afraid of Brooklyn like the rest of the Newsies. Also, as he states in The World Will Know, he can't stand blood! David "Davey" Jacobs is known as "The Walking Mouth". 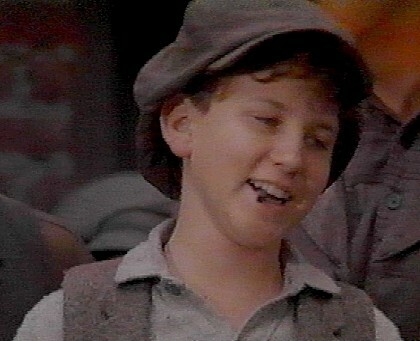 He is the smartest Newsie in the entire Newsboy group. He gave Jack the idea to do a strike. Davey is the brains behind everything smart Jack says and does. He is the older brother to Les and Sarah. 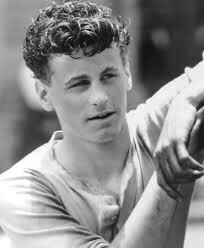 Mush Meyers got his name because of how he was very romantic and very "mushy" with girls. Mush hangs out mostly with Racetrack and Kid Blink. Just like Blink, Mush was unsure whether or not to join the strike. Once Mush did, though, he became one of the most supporting members. The real Mush Meyers from the Newsie Strike was known to be pretty smart. Mush's most famous line from the movie is "Did ya hear that guys? I asked Jack how he slept and he said 'On me back Mush!'" Skittery is the pessimist of the group. He voices his opinion and generally brings every down with his opinions. Skittery is known for wearing his pink long underwear. His closet friends are Racetrack, Kid Blink, Specs, and Dutchy. Skittery's most famous quote from the movie is "Yous got's ya picture in the papes, so what's that get ya, huh?" Snipeshooter is a smaller Newsie. He likes to steal cigars and smoke them, even though he is only 16. 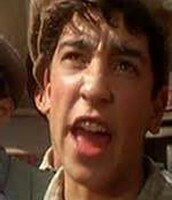 He gets picked on A LOT by his fellow Newsie friends and by the Delancey Brothers. He doesn't have many friends, but Jack and Race are usually pretty nice to him. Sorry. 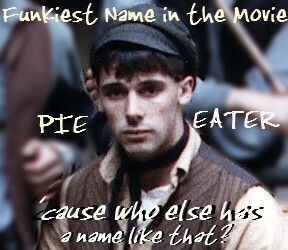 I don't know much on Pie Eater. Here's what I do know though. He is a great dancer and he is often recognized by his "WHOO!!" during the movie. Sarah is David and Les's sister. She is a very shy girl who likes to do needlework. She is usually at home helping her mother with dinner and chores. She is Jack's crush. They kiss at the end of the movie. In the Broadway musical, she is the daughter of Pulitzer. Here is Spot when he says his most famous line. He is rarely seen smiling (but he's still cute... ^_^). 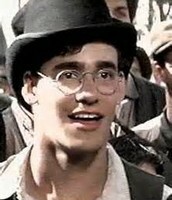 He is the biggest gambler of the Manhattan Newsies. Sorry... not a very flattering picture. 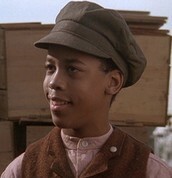 He is a cripple from the Manhattan Newsies. He is the youngest Newsie. Only 9 years old! Boots is a really nice Newsie and friends with everyone. Generally of the downer of the group, but whatever! Really young to be smoking, don't ya think? He is different because he wears a bowler hat instead of the regular Newsboy cap. Not to be confused with Crutchy. Disclaimer: None of these fanfictions were written by me. They were all written by other people. Therefore, all credit goes to them. Thank you! David Jacobs fanfiction! The author is not done writing this one, so check on it soon if you want to read more! Kid Blink fanfiction! WARNING: This one is extremely sad, but the ending is awesome! 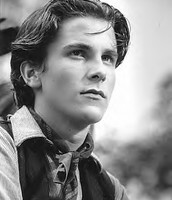 Jack Kelly fanfiction! The author is not done writing this one, so check on it soon if you want to read more! SEE THESE MUSIC VIDEOS FROM THE MOVIE!!! Wanna learn how to talk like a Newsie? 1. Always replace vowel-r with an "oi". 3. Use ain't and double negatives. Ex. Soak em' (fight them), Cheese it (get out of there), scabs (person who doesn't follow something), etc. 5. Use me instead of my. 6. Add 's to lots of words. Ex. You's, I's, Got's, etc. Watch the movie over and over to get your accent down! Hopefully I will be able to come up with more helpful hints soon! Disclaimer: None of these quizzes were written by me! All credit to authors. This one is a personality quiz. Please excuse the language. Thanks. 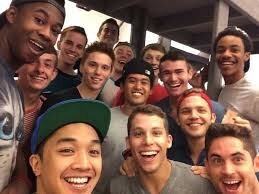 This is a which Newsie is your boyfriend quiz. Don't be judgin' me!! This is another personality quiz. This one tests your movie knowledge. This one tests your knowledge on the quotes of the Newsies. This is a harder quiz! 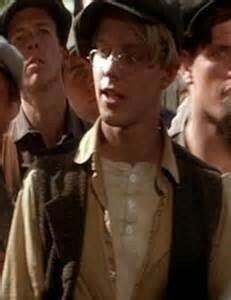 You really gotta know your Newsies!! This is another really hard one! If you happen to get a good score, or just want to share your scores on the quizzes, please leave it in the comments below!!! This is not my website! Owned by Cafepress! This is not my website! Owned by Disney!